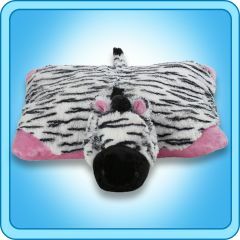 Home > PillowPets 18" > Zippity Zebra 18"
My Pillow Pet Zippity Zebra Toy - Size: Large 18"
One of the more colorful and fun My Pillow Pets you are going to find would have to be the My Pillow Pets Zippity Zebra. 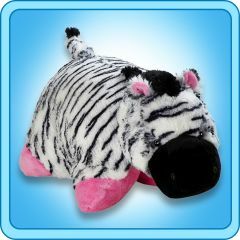 This fun and color My Pillow Pets has pink feet, a pink underbelly, and of course the awesome black and white colors we always associate with Zebras. This very fun toy, or pillow depending on how you are using it at the time, is very popular with children.